I have been a dialysis nurse with DaVita for the past 21 years, and the experience of becoming a living donor for my husband has given me a different perspective than most providers are able to have. It has made me not only a better person, but also a better nurse and provider because of it. I met my husband in August of 1979, during our sophomore year in high school biology class. Little did I know I would be starting a family and spending the rest of my life with him. We married in July 1984, and I have spent more of my life with him than I have without him. When he was diagnosed with polycystic kidney disease about 14 years ago, I knew in my heart that if he ever needed a kidney, I would be honored to give him one of mine. In 2014, he started dialysis and was referred for a transplant. I knew if I we matched, I would give him one of my kidneys. He wasn’t sure he wanted that, but he humored me and let me get tested. After I was tested, we found out that I was not only a match, but a good match. The probability that we would be a good match was so small, because there is a lot of criteria that goes into being a donation match. To qualify as a donor, I had to lose 20lbs, and it was the best decision I have ever made for both of us. On August 17, 2016, my husband was given my right kidney – one week before I started my last semester of graduate school to become a nurse practitioner. In the beginning, the road was rocky, as he went from ESRD, to a successful transplant, to acute kidney injury because of a complication soon after the transplant. After two weeks in the hospital, he was sent back home on dialysis, but we hadn’t given up yet. Things became like a roller coaster. At one point, the doctors considered removing the kidney and re-listing him on the transplant list, but we didn’t give up. His surgeon was taking his case to heart and wanted to try a couple more ideas. We agreed to give him a chance and by mid-October, my husband was taken off dialysis. We were told that he would be lucky if the kidney would last a year. We not only reached their expectations, but exceeded them. We now are able to travel to places such as Hawaii and do the things we missed previously. We never take any day for granted. I look at it like this: I was given a gift the day I was given the opportunity to become a living donor. Nothing else could even compare to the gift he gave me when he agreed to accept my kidney. I never think of myself as having only one kidney – my life is as normal as ever. If anything, I am more conscience of my health and realize just how important quality, not quantity, of life is. I think the biggest hang-up for people who would be a living donor but choose not to is the possibility that a family member may need a transplant. What I have to say to them is this: if everybody would get out of that mindset and be a donor while YOU are still healthy, there would be enough kidneys to go around for everybody. Also, in addition to it all, I never gave up on my degree and completed it in December 2016 – the same year my husband received his transplant. 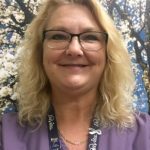 Pamela has been with DaVita 20 years, and this May 19th will be her 21st anniversary. She and her husband love to be in the sun and have been on seven cruises, with one more planned next month. They love to visit Perdido Key, Florida as often as they can, and they spend a lot of time with their one-and-only grandson, who is five and a little spoiled. It is so strange that your story came up today in my email. I say strange because I just did a speech on living donor transplants last night for my speech class. I applaud your selfless act and I wish you and your husband continued health and happiness. Thank you!! I hope your speech was a magnificent success!!!! Remarkable , Pam you are a true inspiration. Achieving your own dreams while making many others possible. Such a giving heart. Blessed to know you. Such an inspiration. Kudos to you !!!! Thank you for sharing your story Pamela. This is truly an inspiration as I have been looking into being a living donor for a co-worker/patient here at Davita. I am finding that this is definitely a process to even see if I am a match for her. This is a big decision and you are correct that the worry is whether any of my children would need my kidney in the future. Any suggestions or advise you could provide would be very much appreciated. Thanks for sharing your story and act of giving; It is priceless, and a reflection of divine love for us all. This is a very selfless deed, and everyday I wake up hoping to be selfless to others, but stories like this really bring hope and faith alive. I pray you and your husband may have a longer, deeper and more meaningful life and relationship with God and your family. My husband is hopefully going to give a kidney to our 12 year old son, who also has polycystic kidneys (the recessive gene). To learn how you have carried on with a healthy life is reassuring to me, as I’ve been feeling anxious regarding my husband living with just one kidney. I have also been dreading the day when they are both in theatre .